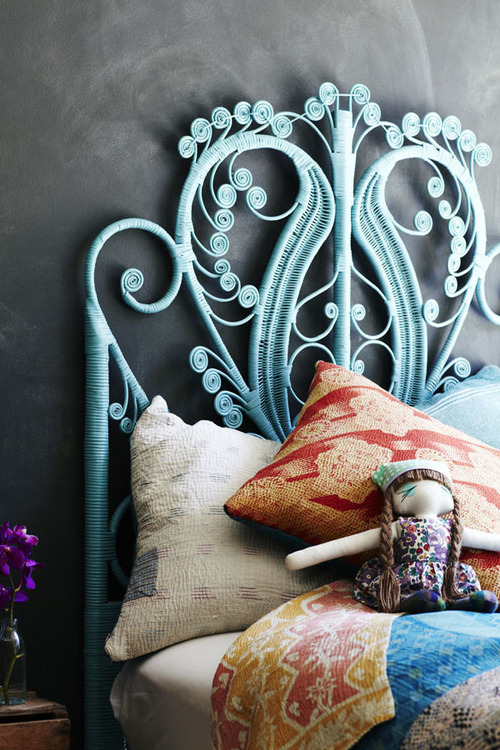 I have this vintage rattan peacock headboard that first belonged to my ninang (godmother) when she was still single that was later handed down to me for my bedroom when I turned 12. It's part of a complete set that I lugged from my grandparent's house to our condo when I transferred because I really love the look of it and I also wanted to continue the tradition and pass it on to Nikola next. Because of age and neglect, it looked a bit beat up and tired. I knew I wanted to paint it in a bright color but I needed to consult with my "boss" first. 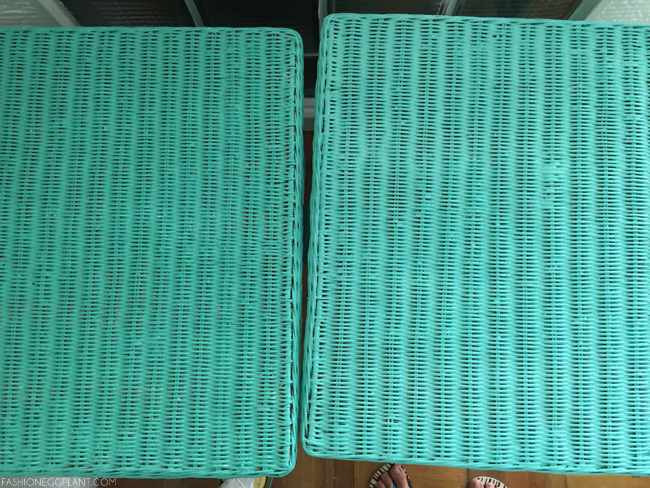 After a lengthy discussion with Nikola over many pinterest boards, we finally settled on turquoise. 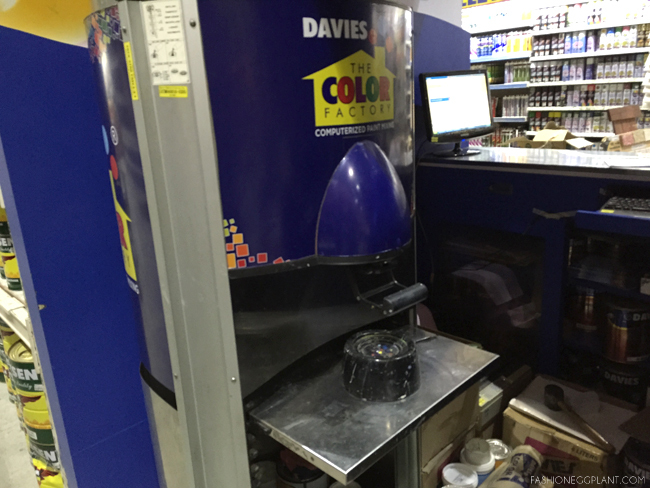 Thank god Davies, Boysen and Nippon now offer customized paint services. It's much much cheaper than True Value or Ace paint. 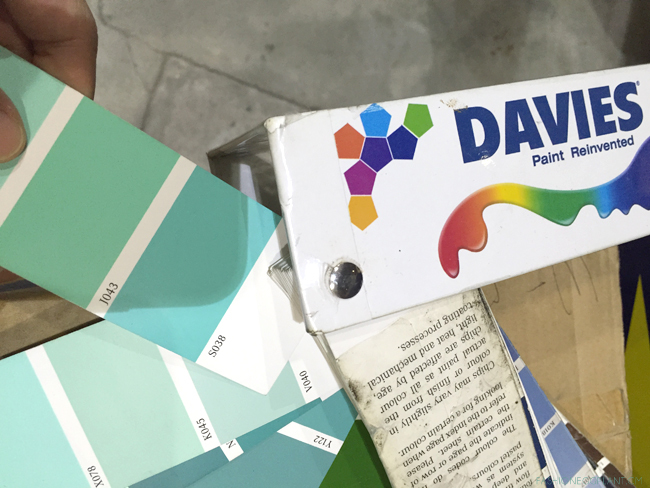 A quart of turquoise-ish/cyan paint only cost me around P200. Lighter shades are even cheaper plus there are hundreds of color swatches to choose from and each brand has hues that vary slightly. The process was fun to watch for a DIY enthusiast like me. It begins by entering your chosen color code into the computer which then determines how much tint of each color is needed to achieve your desired shade. 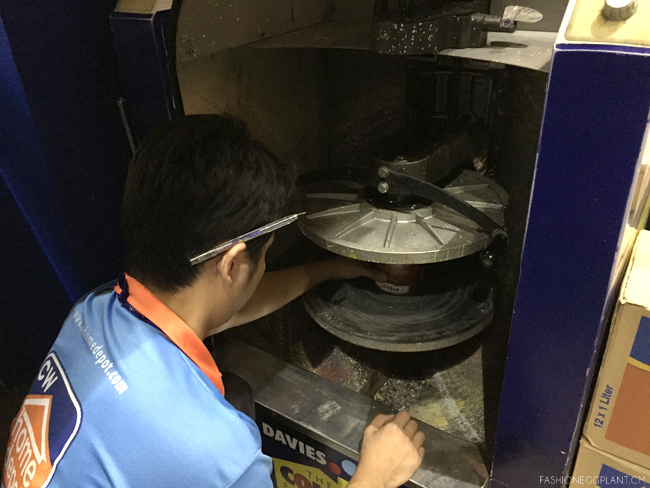 A can of white paint (you can choose between flat, semi-gloss or gloss) is put into this contraption that is responsible for injecting the correct amount of tinting color. They keep a record of your name and paint color so it's easy to re-order in the future in case you run out or want more for repairs and touch-ups. This all happened before I left for Cebu. While I was there for the Vios Cup, they began painting Nikola's bedroom set. When I got home, I was greeted by this garish green color which reminded me of cheap roofing. It was definitely NOT what we wanted. That's the thing with paint. 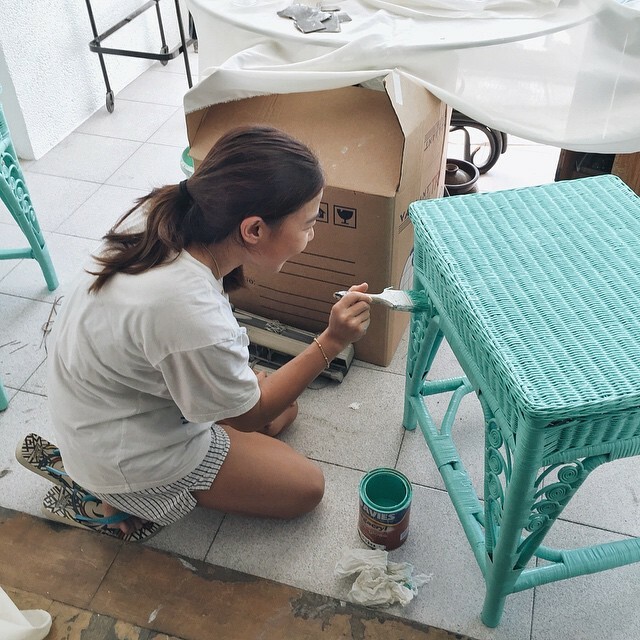 While I was having our color mixed, I remembered something that was mentioned to me in passing by my mom before...that paint either lightens or darkens a couple of shades once you apply it on a large surface. Problem was, I couldn't remember which it was, light or dark. I had to learned it the hard way and do some adjustments myself. Guys, paint gets darker. So when you're looking at a swatch book, pic the lighter shade. Lighter shades also cost less. To make up for my mistake, I needed to add some more white paint to the mix to achieve this Tiffany Blue shade. Anyway, I can't wait to go shopping for linens and other home stuff and share some after photos with you! hi Sarah! where did you have your paints mixed? ty! Ka abang abang ang iyong renovation episodes! Good job mother! love the color you picked! now you inspire me to continue with my renovations at home. time to get down and dirty! 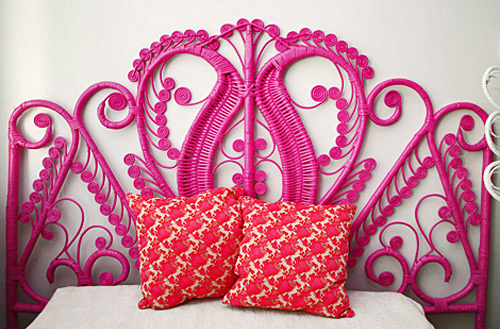 I love the turquoise headboard! Thanks for the tip on the paint!